Artmusic creates collaborative, site-specific and participatory art works. Artmusic was formed in 1999 to produce and promote collaborative work between artists working in different disciplines, and to create site-specific and participatory work. 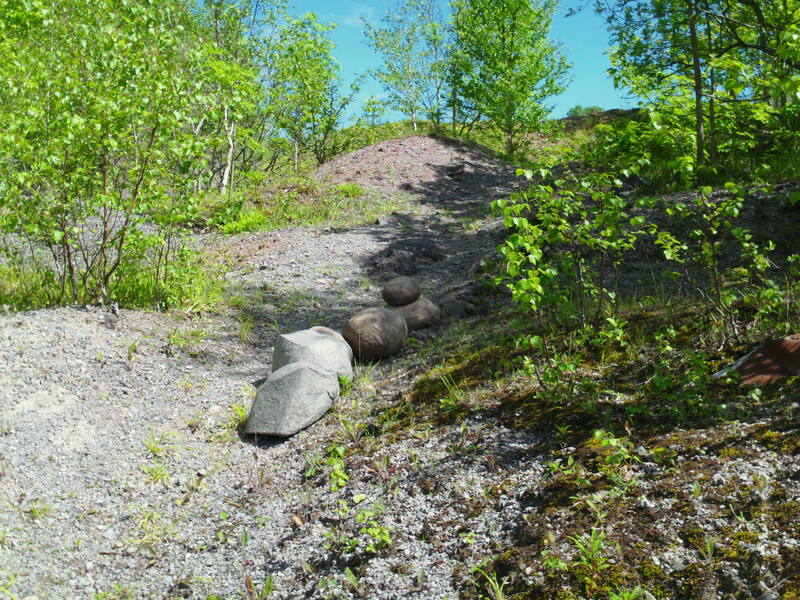 For Step in Stone visual artist Rowena Pearce and I (composer, Helen Ottaway) are working in sculpture, found sound and music to produce ECHO a work reflecting the transformation through quarrying of smooth rock to scree. 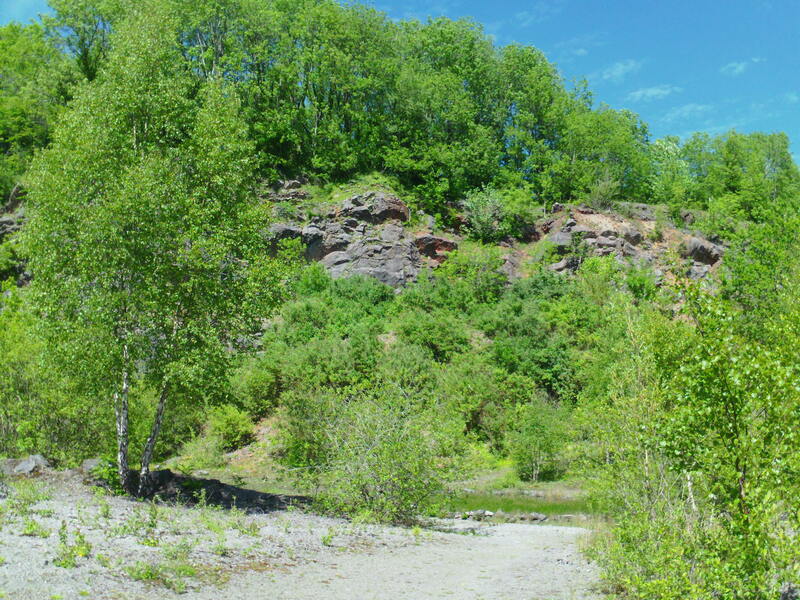 At Westdown/Asham and Fairy Cave Quarry we were looking for suitable sites – sloping areas with scree to place Rowena’s ‘stream of boulders’ and open spaces for trumpet performances. 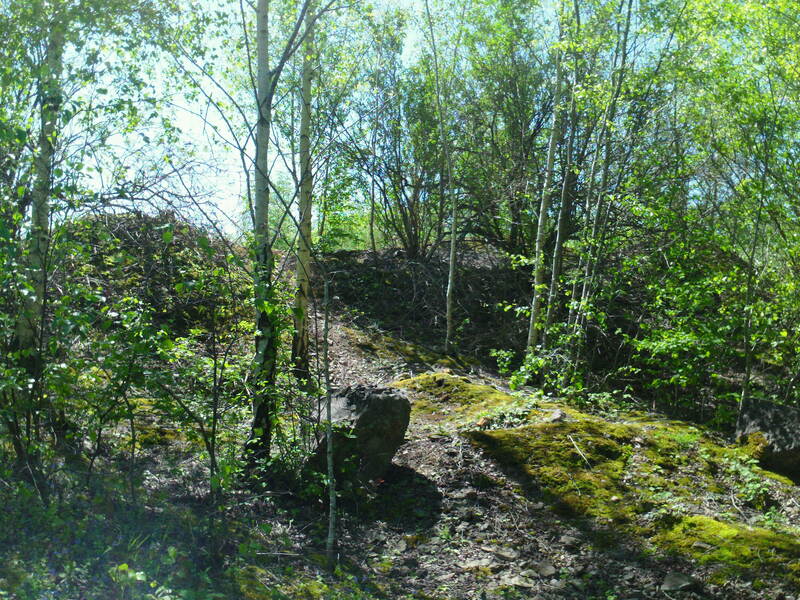 Later, with Fiona, we took a few boulders and the trumpet to Fairy Cave Quarry. 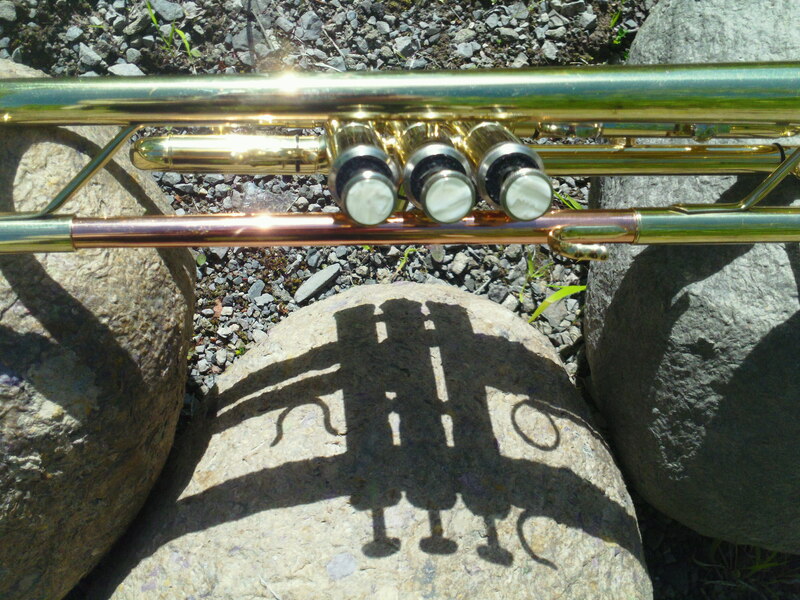 The use of the trumpet is inspired by the idea of the ‘blast’ – a word used both for the process of quarrying and for the sound made by a trumpet. But also by the shape of rugose coral fossils commonly found in limestone. 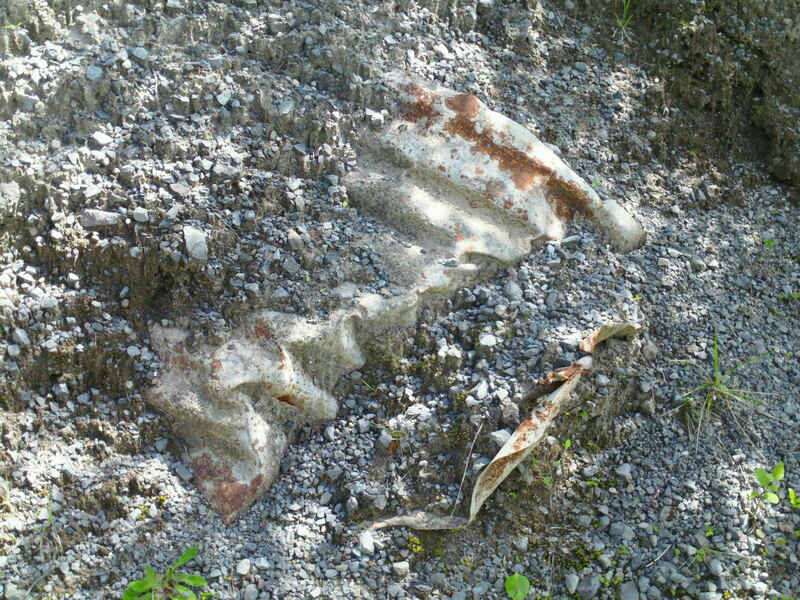 At Fairy Cave we came across a piece of half buried masonry very reminiscent of this shape and behind it a sloping area perfect for Rowena’s boulders. ……and looking around for high places to play from, I found that, surprisingly, I could get up to the top of this rock face – a great place for a trumpet blast. The day we visited fairy Cave was a gorgeous clear blue sunny day. Step in Stone is a fantastic project which we are very happy to be part of and we’re very pleased to be off the starting blocks.